Join us for the annual Christmas Holiday Race (Formerly the Peachtree Corners 5K) Again for this year we’re in Roswell (a few miles from Peachtree Corners) and at the very fast and accurately measured Riverside Park! What a great way to be with fellow run/walk enthusiast (ie get away from your family for an hour or two!) for a charity 5K and amazing post race food and fun! 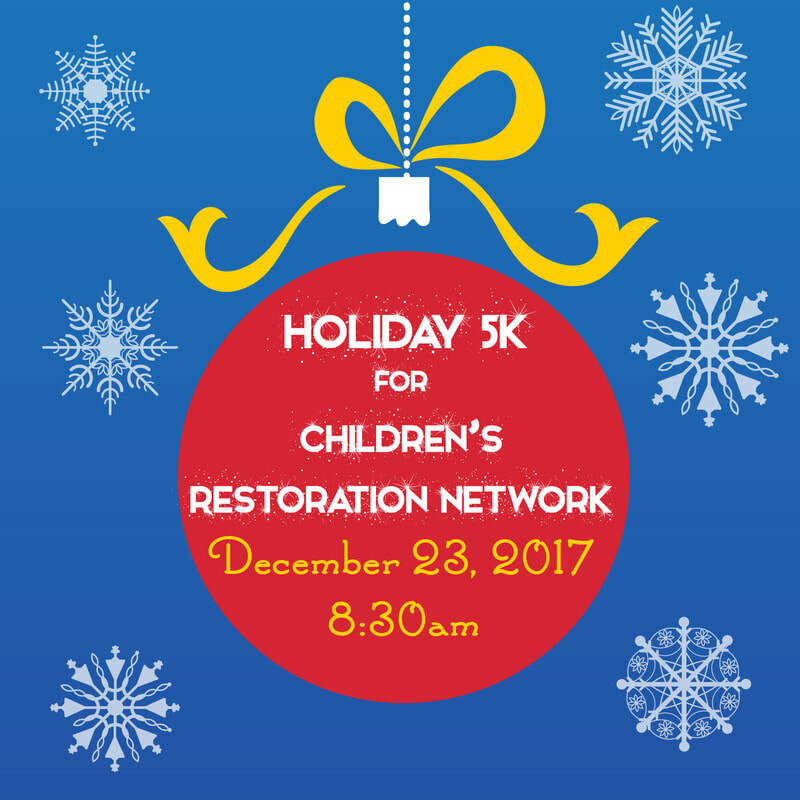 Benefiting Children's Restoration Network; a non-profit agency that has served homeless children and mothers in Atlanta for more than 23 years. Through various programs CRN helps children receive basic necessities from food and school supplies to adult guidance and scholarships. ALL Participants receive the famous Christmas Tree Ornament Run Shirt. Also includes great raffles and prizes! Top Male/ Top Female 5K Winners receive gift cards age group will receive medals. Our awesome sponsors will be representing themselves with company information and MORE giveaways! THE COURSE: Flat and fast. Scenic route through the surrounding Riverside Park trail system mostly paved road with some crushed stone surface. Fairly competitive fast course and that welcomes all abilities!